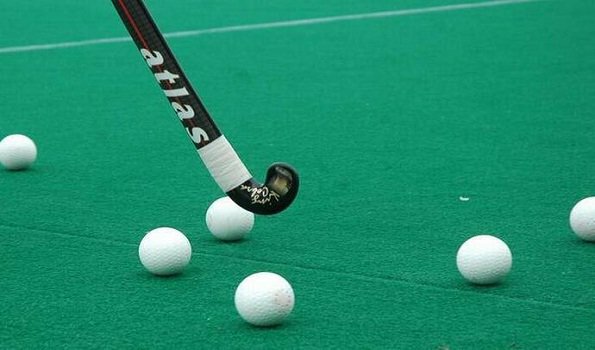 Buenos Aires:The Indian U-18 men's hockey team advanced into quarter-finals by defeating Canada 5-2 in their fifth and last Pool B match here at the Youth Olympic Games on Thursday. India's Sanjay (4?, 17? ), Shivam Anand (7? ), Sudeep Chirmako (10?) and Rahul Kumar Rajbhar (17?) scored for the team which saw them finish at the second spot in Pool B, while it was Rowan Childs (15?, 16?) who scored twice for Canada. India who had faced a defeat against Australia in their fourth match on Wednesday, regained their winning pace as skipper Vivek Sagar Prasad and Sudeep Chirmako took a shot each at goal inside the opening minute against Canada. India's performance was best seen in the 4th minute, when Sanjay's strike found the back of the net, whereas, in the 7th minute, Shivam Anand doubled the lead through a fast finish. Sudeep Chirmako, got onto the score-sheet in the 10th minute, as Indian team outplayed their opponents in the first period, extending their lead to three goals. Canada's Rowan Childs and Brendan Guraliuk had opportunities inside the opening two minutes but failed to score a goal. On the other hand, India's Shivam Anand, Vivek Sagar Prasad and Sudeep Chirmako forced Canada's goalkeeper Ethan McTavish to make saves inside the first three minutes. However, Rowan Childs beat the Indian Goalkeeper twice in two minutes to make it a edgy ending for the Indian team. India's Sanjay and Rahul Kumar Rajbhar scored the fourth and the fifth goals respectively in the 17th minute to restore India's three-goal advantage. India's Chauhan made some fine saves in the dying stages of the match to see India through to the final whistle with a scoreline of 5-2. The win means that India finished at the second spot in Pool B with a tally of 12 points, behind leaders Australia who finished with a 100 per cent record.